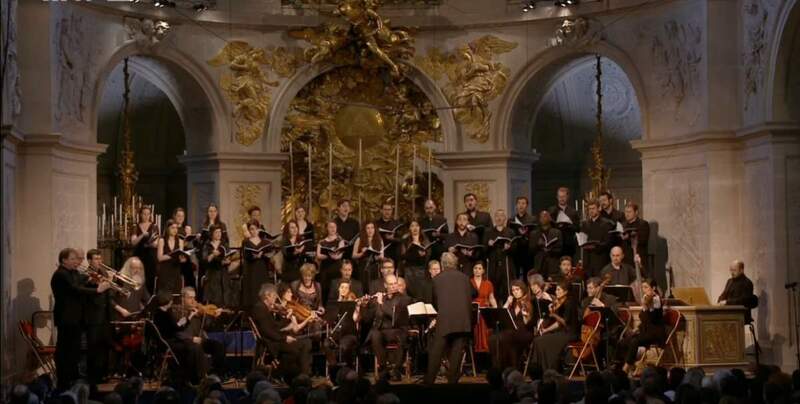 Conducted by Jordi Savall, the orchestra with period instruments, Le Concert des Nations and La Capella Reial de Catalunya perform Johann Sebastian Bach’s Magnificat, BWV 243, a musical setting of the biblical canticle Magnificat and one of Bach’s most popular choral works. 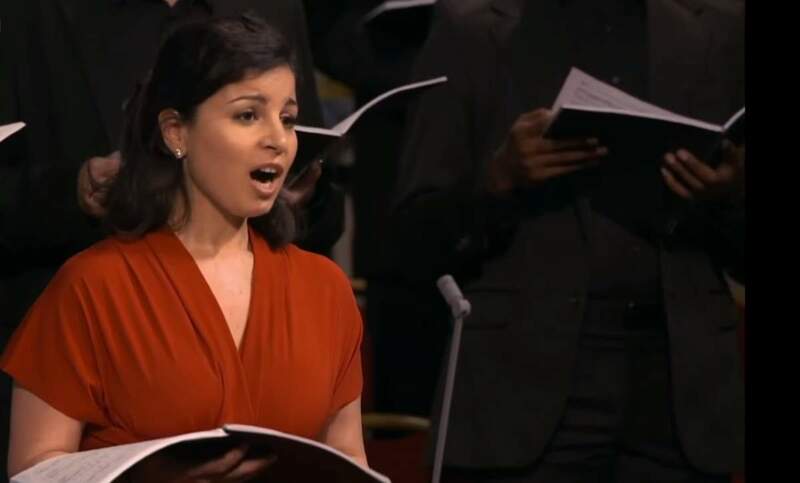 Soloists: Hanna Bayodi-Hirt and Johannette Zomer (soprano), Damien Guillon (countertenor) (alto), David Murderloh (tenor), Stephan MacLeod (baritone). In 1723, after taking up his post as Thomaskantor in Leipzig, Bach set the text of the Magnificat in a twelve-movement composition in the key of E-flat major. For a performance at Christmas, he inserted four hymns (laudes) related to that feast. This version, including the Christmas interpolations, was given the number BWV 243a in the catalogue of Bach’s works. Le Concert des Nations is an orchestra with period instruments, able to perform the orchestral and symphonic repertoire from the Baroque to Romanticism: 1600 – 1850. The orchestra was created in 1989, the youngest of the groups conducted by the Catalan maestro and viola da gamba virtuoso Jordi Savall. Le Concert des Nations is the first orchestra of its kind made up of musicians who originate mainly from Latin countries (Spain, South America, Italy, Portugal, France as well as many other countries). The name Le Concert des Nations refers to the work by François Couperin as an assembly of “tastes” and bears the mark of the Age of Enlightenment. Le Concert des Nations is the orchestra of La Capella Reial de Catalunya. La Capella Reial de Catalunya is a group of soloist singers with the aim of making the repertoire of Catalan historical music and, by extension, that of Spanish and other music widely known throughout the world. The group was formed in Barcelona in 1987 by its conductor Jordi Savall. La Capella Reial de Catalunya often performs with Le Concert des Nations, a period instrument group also founded and conducted by Savall. Hanna Bayodi-Hirt is a French soprano specializing in baroque music and early music. She has collaborated with many European ensembles such as Les Arts Florissants, Le Concert d’Astrée, Le Concert Spirituel, La Capella Reial de Catalunya and Hespérion XXI, Les Folies Françoises, B ‘ rock. She has performed in numerous venues and festivals such as: La Cité de la Musique, Salle Pleyel, Théâtre du Châtelet, Théâtre des Champs-Elysées in Paris, Lille Opera, Auditorium de l ‘ Opera de Lyon, Opéra de Bordeaux, Concertgebouw and Nederlandse Opera in Amsterdam, Teatro La Fenice in Venice, Teatro Real de Madrid and Palau de la Musica in Valencia, Palace of Arts in Budapest, Lincoln Center in New York, the Oude Muziek Festival in Utrecht, the Chaise-Dieu Festival, the Ambronay Festival. Johannette Zomer is a Dutch soprano. Originally, she worked as a microbiology technician. Then she changed her profession and in 1990 and studied voice at the Sweelinck Conservatory Amsterdam in Amsterdam with Charles van Tassel, where she received her Performance Diploma in 1997. Her repertoire ranges from medieval music through all music of the Baroque and Classical eras, including opera, but also Lieder, French Romanticism and Contemporary music. The prestigious Gramophone magazine said “A new voice to watch” about her. Damien Guillon is a French countertenor. He began his musical education in 1989 at the Maîtrise de Bretagne supervised by Jean-Michel Noël. He received a full music education from his youngest age and quickly begun singing as a soprano soloist in many baroque oratorios as well as at the Rennes Opera in The Magic Flute by Mozart. Guillon is leader of the early music ensemble “Le Banquet Celeste”. David Munderloh (born 1969, USA) is an American born Swiss tenor. 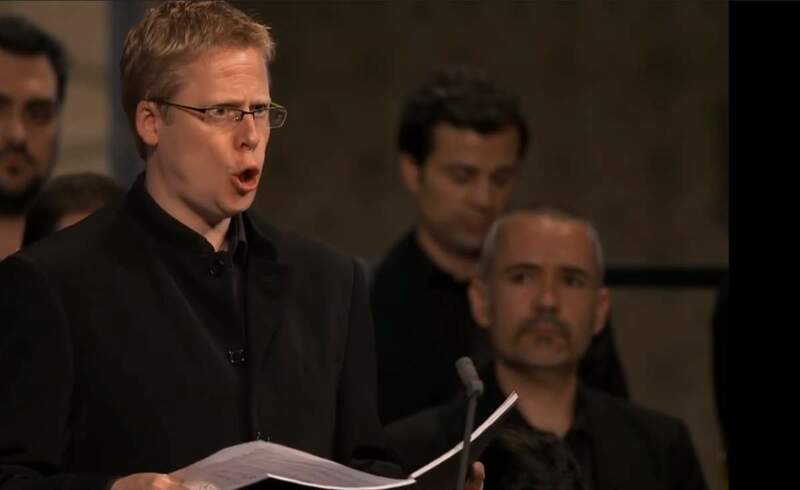 He completed three years as a Fulbright Fellow earning a Masters Diploma in early music performance and theory at the renowned Schola Cantorum Basiliensis. David Munderloh has studied with Hans-Joachim Beyer (Leipzig) and Gerd Türk (Basel). Invaluable has been his close work with Anthony Rooley; work which continues to guide his interpretation of English Lute Songs. The sought-after tenor is regularly called upon for his dramatic interpretations of the major Cantata and Oratorio works, the Handel Oratorio roles holding a central position in his repertoire. Mr. Munderloh has appeared as a soloist and on recordings with, among others, “Hesperion XXI” and “Le Concert des Nations” (Jordi Savall), “Collegium Vocale Gent” (Philippe Herreweghe), and the Ricercar Consort (Philippe Pierlot); “The Harp Consort” (Andrew Lawrence-King), “Neue Hofkapelle München” (Christoph Hammer), “American Bach Soloists” (Jeffrey Thomas), the “J.S. Bachstiftung” (Rudolf Lutz); and with the Baroque orchestras “Capriccio Basel,” “Die Freitags Akademie,” and “Berlin Baroque”. As a member of Chanticleer (Grammy award – 2000), David Munderloh appeared with many renown Orchestras – St. Paul Chamber Orchestra (Christopher Hogwood and Hugh Wolff), San Francisco Symphony Orchestra and the New York Philharmonic (Emil de Cou), and has sung concerts in some of the world’s most renown venues: The Kennedy Center (Washington D.C.), New York’s Lincoln Center, London’s Wigmore Hall and the Concertgebouw in Amsterdam. On stage David Munderloh has received acclaim for his portrayal of the Madwoman in Benjamin Britten’s “Curlew River,” as Acis as well as Damon in Handel’s “Acis and Galatea,” Palide in “Oreste” (Handel), Aeneas in “Dido and Aeneas” (Purcell) and as Don Ottavio in “Don Giovanni” (Mozart). Mr. Munderloh has also sung Rameau’s “Pygmalion” (Pygmalion) and “Anacreon” (Bathylle) with L’Orfeo Baroque Orchestra under Michi Gaigg. Because ensemble work is still important to Mr. Munderloh, he still performs throughout Europe with Dominique Vellard’s “Ensemble Gilles Binchois” and with “La Grande Chapelle” (Madrid) and “Vox Luminis” (Namur). Mr. Munderloh has also recorded and sung as a guest with “The Consort of Musike” under Anthony Rooley. With many recordings, radio and television appearances, David Munderloh has appeared on stage throughout the Far East and the USA as well as in most European countries and major festivals. Mr. Munderloh’s first solo CD was released on the ARS label in summer 2014 with lute songs of John Dowland and soon to be released will be a CD with songs by Henry Lawes. Born in November 1971, Stephan MacLeod is a Swiss bass-baritone. His repertoire goes from Renaissance and western European baroque music. He is particularly active in the oratorio repertoire. He was ten years old when he started studying violin and piano at the Conservatoire de Musique de Geneve. Then he started singing lessons with Mrs. Michele Moser in Geneva. At the age of nineteen, he was accepted into the singing class of Ursula Buckel in Geneva, and at the same time was offered a position at the Cologne Musikhochschule studying with Kurt Moll. Then he studied with Gary Magby in Lausanne. MacLeod won in 1991 in Switzerland various competition prizes. Currently, with his Ensemble Gli Angeli Genève, he will be singing and conducting in various concerts in Switzerland, Germany and at the Utrecht’s Festival for Early Music, featuring works of Bach, Schütz, Monteverdi, Mozart and symphonies by Haydn.